Netflix has a case of Dr. Jekyll and Mr. Hyde. 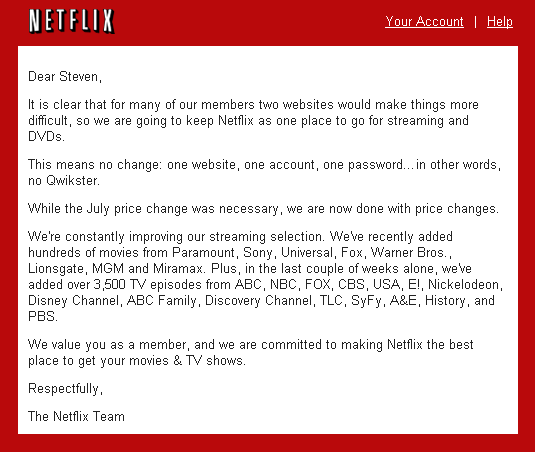 Less than a month after Netflix CEO Reed Hastings announced DVD-by-mail would be spun off to form Qwikster, another email is sent out saying Qwikster will not happen after all. What a horrible year for Netflix PR. They’re flailing to find footing with their established, loyal customer base.